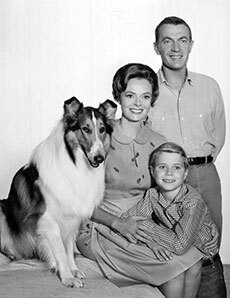 June Lockhart with “Timmy and Lassie” cast members Lassie, Hugh Reilly and Jon Provost in 1963. 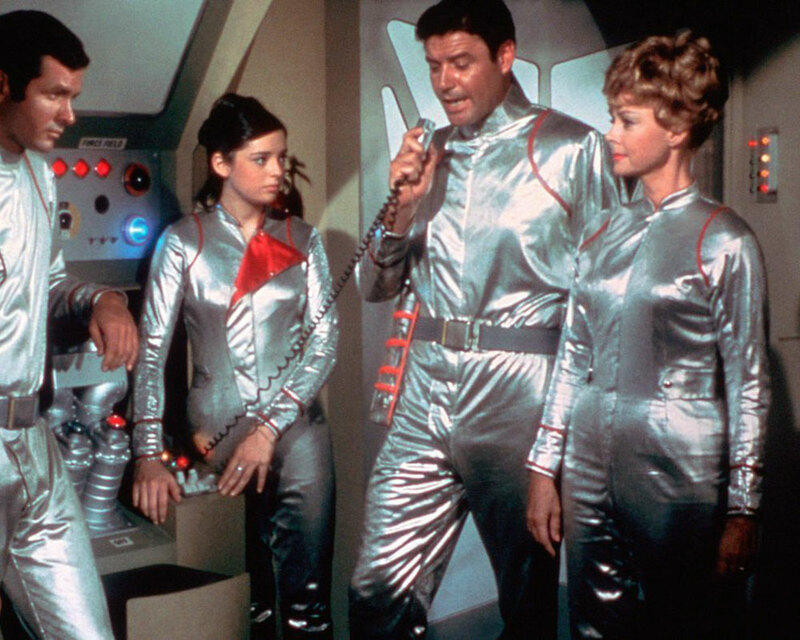 Lockhart, first known as Timmy’s mother in the television series “Timmy and Lassie” and then as the Robinson matriarch on “Lost in Space,” plays an actress who aims to get even with a movie mogul when her contract isn’t renewed. Her appearance on “Suspense” March 24, 1957 was a rare radio role for the actress who was first seen on film opposite her parents in a 1938 version of “A Christmas Carol.” Her father and mother, Gene Lockhart and Kathleen Lockhart, appeared as Mr. and Mrs. Bob Cratchit, while she was uncredited as Belinda Cratchit. “Shooting Star” is heard Friday night at 10 p.m., with an encore performance at 1 a.m., over 97.9 WHAV FM. Yours Truly Johnny Dollar: “Deadly Swamp Matter;” Box 13: “Diamond in the Sky,” Sunday, 10 p.m. and 1 a.m. Suspense (modern): “Testament;” Suspense (classic): “227 Minutes of Hate,” 10 p.m. and 1 a.m.
Dimension X: “The Martian Chronicles;” Suspense (classic): “Present Tense,” 10 p.m. and 1 a.m.
Great Gildersleeve: Leroy’s Part-Time Job; Suspense (classic): “Paralta Map,” starring Raymond Burr, 10 p.m. and 1 a.m.
Our Miss Brooks: Weighing Machine; Suspense (classic): “The Outer Limit,” 10 p.m. and 1 a.m. Couple Next Door: Rearranging Furniture; Suspense (classic): “Shooting Star,” 10 p.m. and 1 a.m.
Gunsmoke: Gonif; Haunting Hour: “Sixth Button,” Saturday, 10 p.m. and 1 a.m.